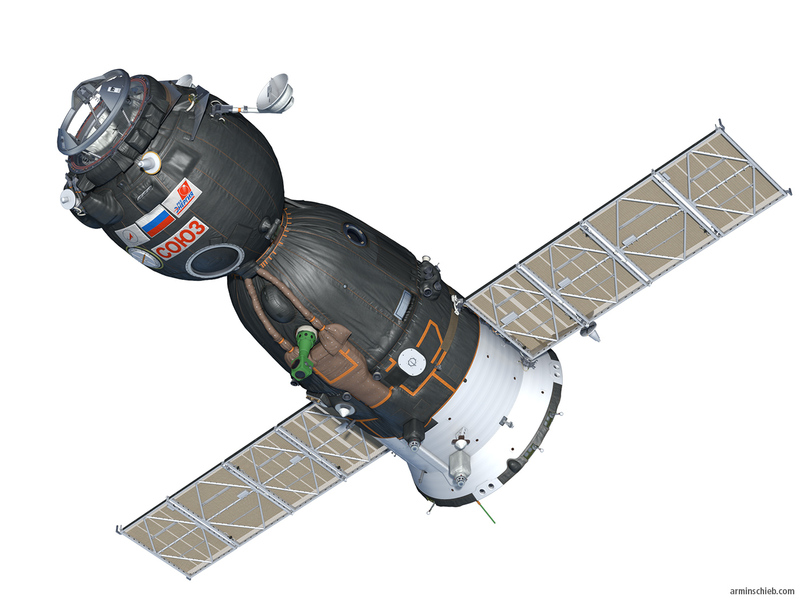 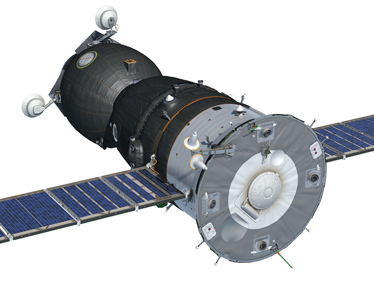 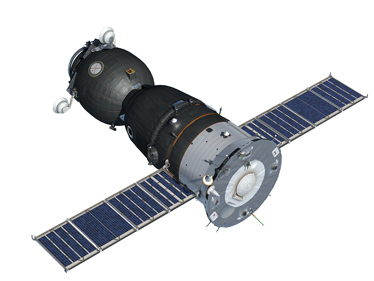 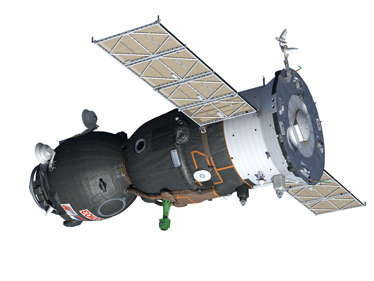 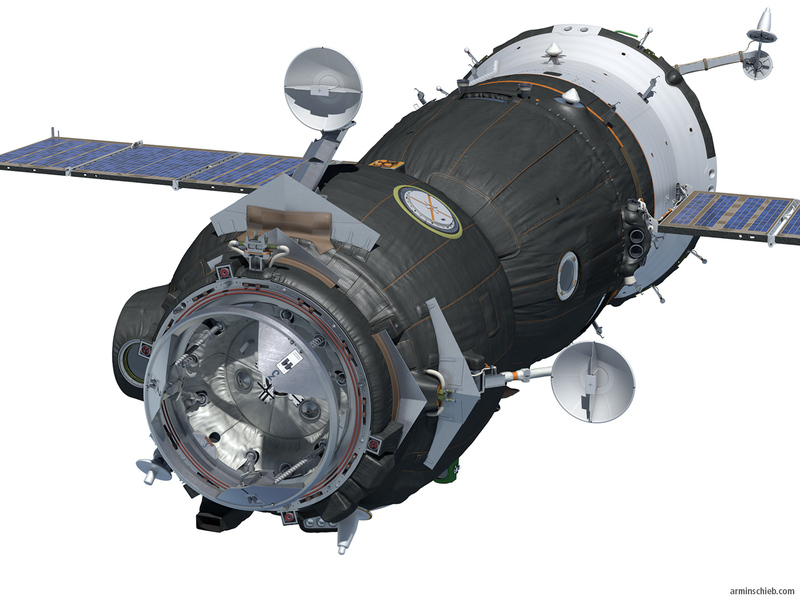 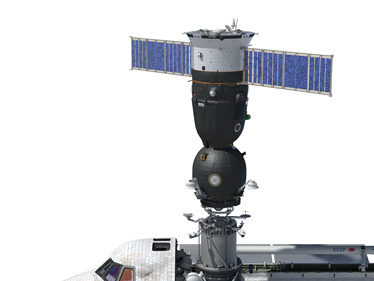 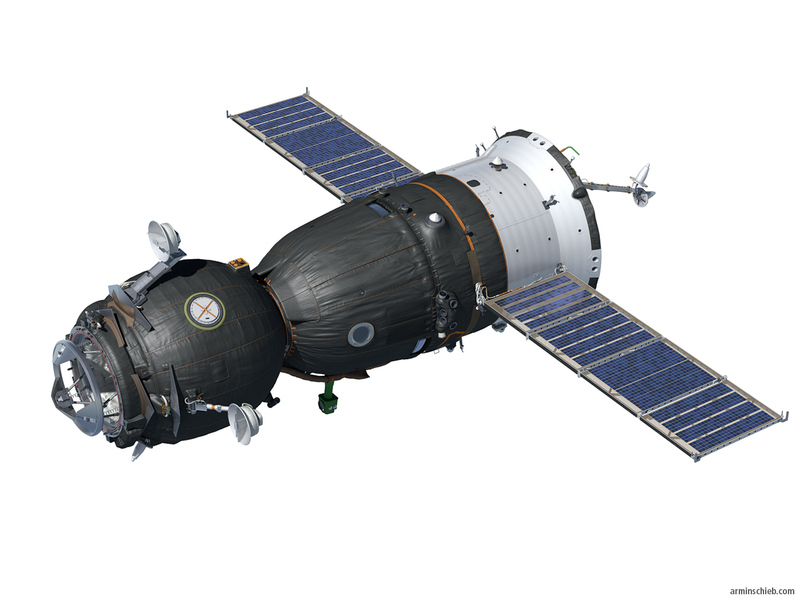 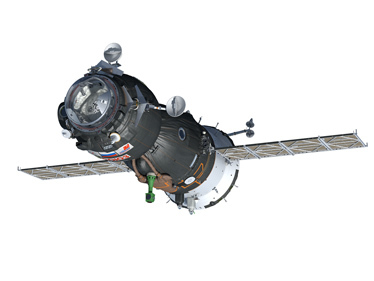 A special version of the Russian Soyuz-TMA spaceship, equipped with the APAS docking system. 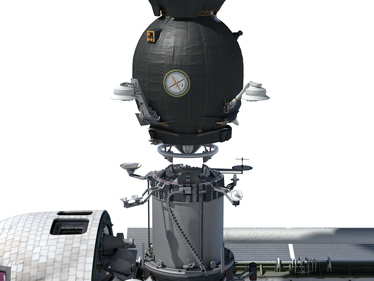 The model was created in cooperation with Vadim Lukashevich for the Buran.ru project. 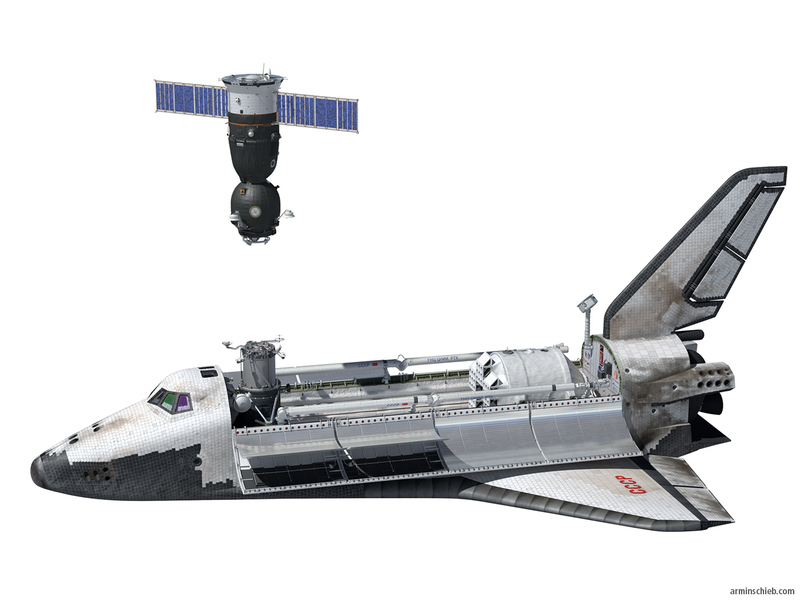 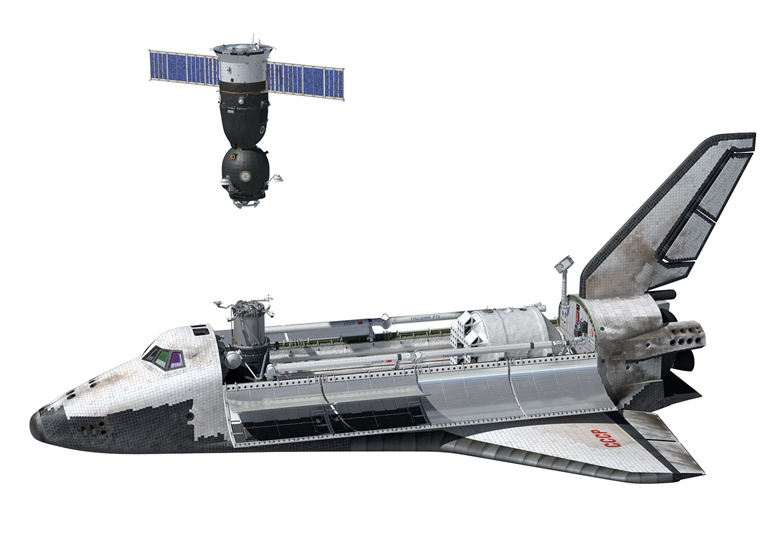 This variation of the Soyuz spaceship was designed to be compatible with the Buran space shuttle. 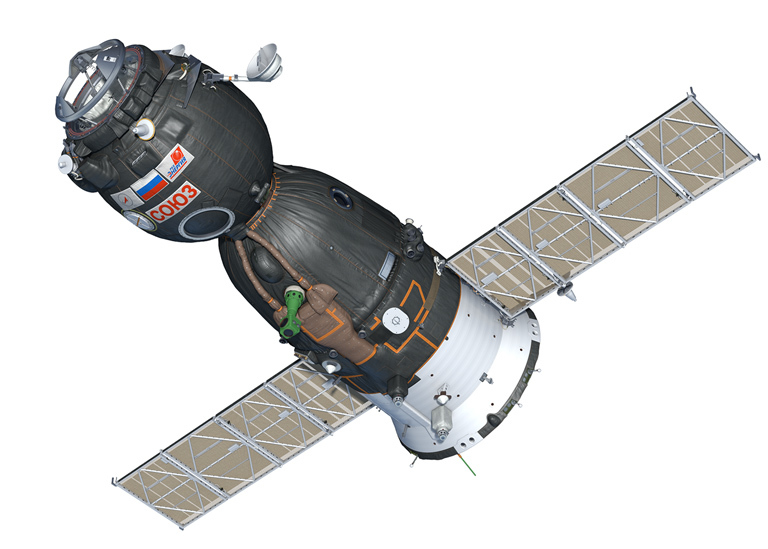 In a case of emergency on board Buran, the Soyuz spaceship would dock to the Buran orbiter and evacuate the crew.